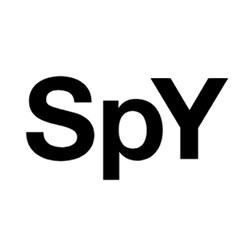 SpY is an urban artist whose first endeavors date back to the mid-eighties. Shortly after, already a national reference as a graffiti artist, he started to explore other forms of artistic communication in the street. His work involves the appropiation urban elements through transformation or replication, commentary on urban reality, and the interference in its communicative codes. The bulk of his production stems from the observation of the city and an appreciation of its components, not as inert elements but as a palette of materials overflowing with possibilities. His ludic spirit, careful attention to the context of each piece, and a not invasive, constructive attitude, unmistakably characterize his interventions. SpY's pieces want to be a parenthesis in the automated inertia of the urban dweller. They are pinches of intention, hidden in a corner for whoever wants to let himself be surprised. Filled with equal parts of irony and positive humor, they appear to raise a smile, incite reflection, and to favor an enlightened conscience.